Paul Manafort, President Trump&apos;s former campaign chairman, leaves the Federal District Court after a hearing, in Washington in May. But by 2016, Manafort was broke. His longtime cash cow, Ukrainian President Viktor Yanukovych, was out of office, living in exile. Manafort had $1 million in clothing debt alone, his business was hemorrhaging money, and he was angling for bank loans to stay afloat. He was in such bad shape that one of his accountants, Cynthia Laporta, who testified Friday at Manafort’s fraud trial, said she had agreed in 2015 to fraudulently lower his reported income on a tax return because she had been told he was unable to pay what he owed. She saved him about $500,000 in taxes. The problems did not go away by 2016, so it was a peculiar time to volunteer his services to the Trump campaign. “I am not looking for a paid job,” Manafort wrote in a memo proposing he help Donald Trump secure the Republican nomination for president. Manafort’s work running the campaign is the backdrop to his federal bank and tax fraud trial in Northern Virginia. Prosecutors are not addressing that work. But as they present evidence he was growing desperate for money, the question of why Manafort, now 69, agreed to an unpaid job for Trump has become increasingly tantalizing. While his trial is unlikely to reveal the answer, there is evidence that Manafort saw Trump’s campaign as a potential loss leader — an upfront freebie he could use to boost his stature and eventually parlay into more work for foreign clients. 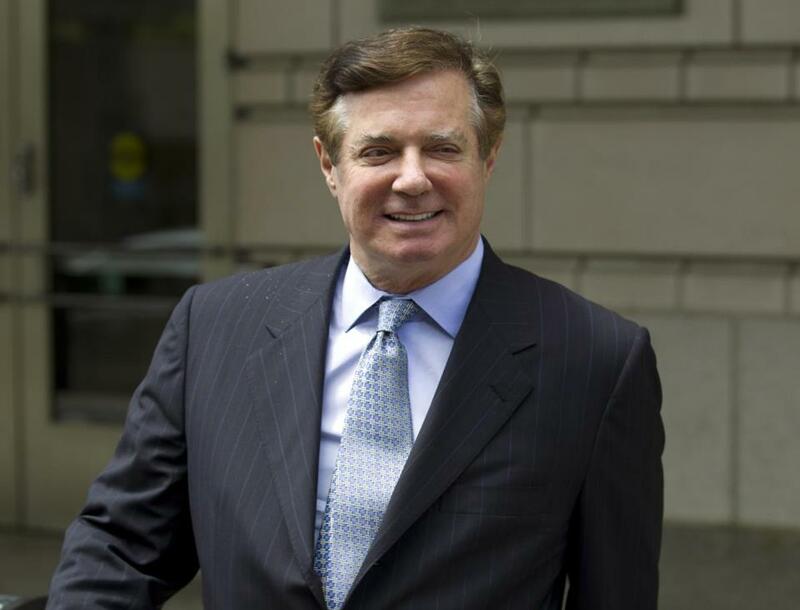 After working decades for Bob Dole, George Bush, Ronald Reagan, and Gerald Ford, Manafort viewed the Trump campaign as a chance to return to prominence on the biggest stage in US politics, his associates said. Manafort’s memo made its way to Trump through a mutual friend, Thomas Barrack, who described Manafort to the candidate as “the most experienced and lethal of managers” and “a killer.” For the notoriously stingy Trump, the price was right. And he liked the fact that he and Manafort lived in the same Trump-owned Manhattan high rise. He once quipped that it was great to have a campaign chairman who paid him money, and not the other way around, campaign officials said. But Manafort recognized that his work with the Trump campaign was worth something. In April 2016, just days after becoming a Trump campaign strategist, he tried to use his positive news media coverage as leverage in a debt dispute with a Russian oligarch, Oleg Deripaska. “I assume you have shown our friends my media coverage, right?” Manafort wrote in an e-mail to a business partner. “How do we use to get whole,” Manafort asked. The e-mails were reported by The Washington Post and The Atlantic. Later, Manafort suggested providing campaign briefings to Deripaska. No evidence has emerged that such briefings occurred. As Manafort ascended to one of the premier jobs in US politics, prosecutors now say, his career was privately in shambles. In early 2016, his accountant testified, he worked to mortgage some of his seven or eight homes. Prosecutors said he had become accustomed to a lavish lifestyle and was preoccupied with clinging to it. At the helm of Trump’s candidacy, Manafort knew from experience that he was well positioned to bounce back. In the early 1980s, Manafort used his experience as a midlevel campaign aide for Reagan to build the preeminent lobbying and consulting shop of Reagan-era Washington. He helped major corporations broker access to the president’s inner circle — and he was paid handsomely for his services. At the FBI, agents began to wonder whether Manafort had something else in the works. In late July 2016, agents learned that Russian operatives had offered help to a Trump campaign aide, George Papadopoulos. A second campaign adviser, Carter Page, traveled that month to Russia and met with a suspected Russian intelligence officer. The FBI began investigating whether Manafort, with his deep ties to the pro-Russia political movement in Ukraine, was involved in the Russian operation to interfere in the election. The Justice Department never brought charges accusing him of any involvement, but the investigation helped unravel whatever career plans Manafort plotted for himself. Prosecutors, who had scrutinized Manafort’s foreign lobbying for years, began investigating that area in earnest. By the time Trump was sworn into office, Manafort was under scrutiny in at least two investigations. If convicted of the charges against him, he faces years in prison and millions of dollars in fines. Manafort’s lawyers say he almost certainly would not have faced charges if not for his brief, unpaid stint with the Trump campaign.